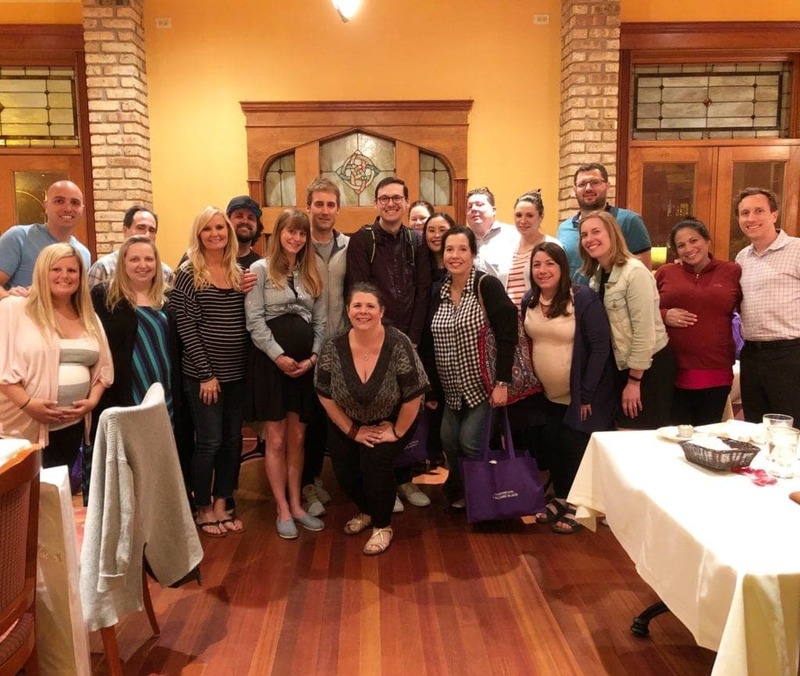 Julie shares details and opinions on the Britax Car Seat Caddy. Find out if it’s right for your car and your twins! Watch the video below to find out all the details. 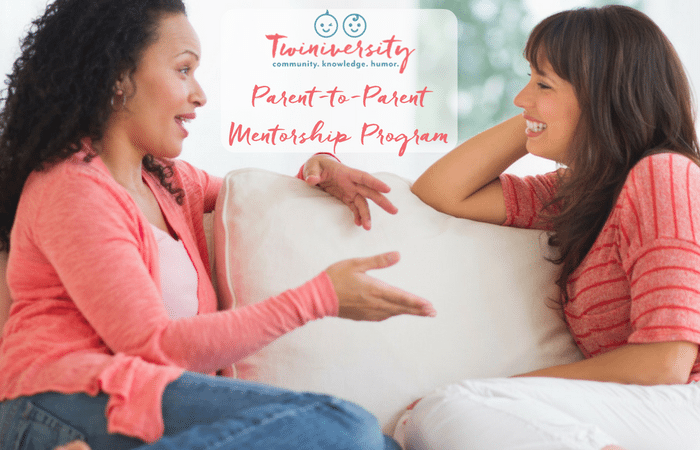 Hey twin moms and dads! 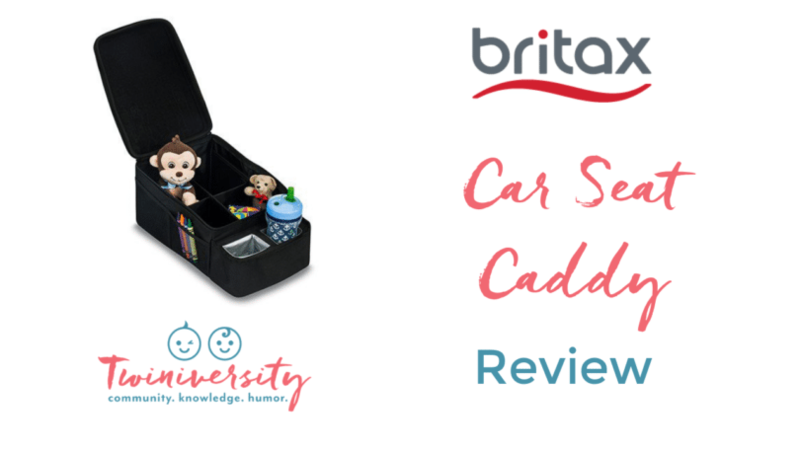 It’s Julie from Twiniversity and I am so excited to tell you about a new accessory for your car: The Car Seat Caddy by Britax. So this caddy is gonna take you all over town with your twins, as well as on road trips, day trips, any kind of trips. This is gonna be perfect to have in-between your twins in the car. The Britax Car Seat Caddy features two large waterproof and insulated cup holders to keep drinks cold and within reach. And we’ve got eight mesh pockets that make room for additional toys: we’ve got four on the outside and four on the inside. This center insert removes so that you can customize the compartments. 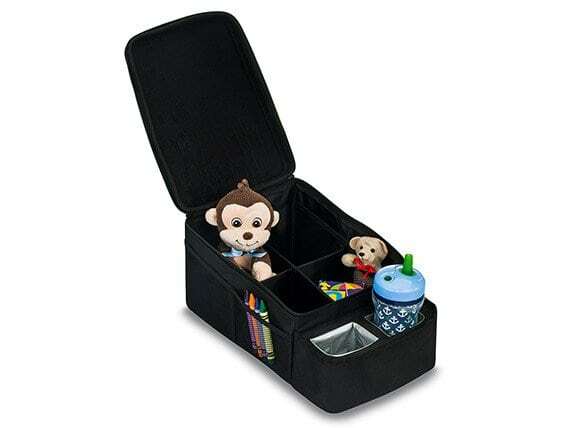 We also have a zippered form foam top which keeps your belongings secure when not in use. And we’ve got reinforced webbing with a buckle which easily attaches to the vehicle’s seat belt. 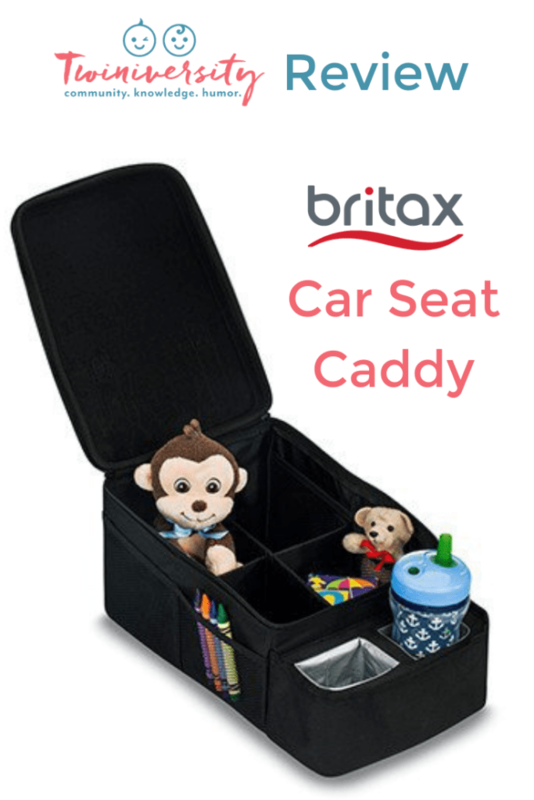 The Britax Car Seat Caddy weighs one point to eight pounds it is 14.17 inches in length, 8.27 inches in width, and 7.28 inches in height. I want to encourage you to measure the space between your car seats before you buy. When I was about to install this in my car I realized that it did not fit in between my two car seats in the two captains chairs in the center row of my minivan. But when I put my seats in the back row of the minivan it fits perfectly, so just make sure you measure before you buy. 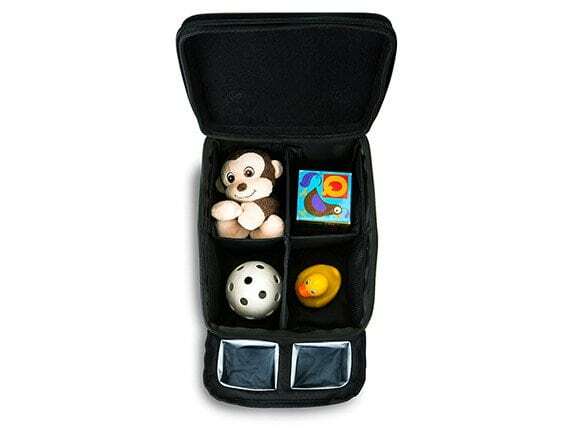 That was the Car Seat Caddy by Britax. For full details you’ll want to visit http://us.britax.com. 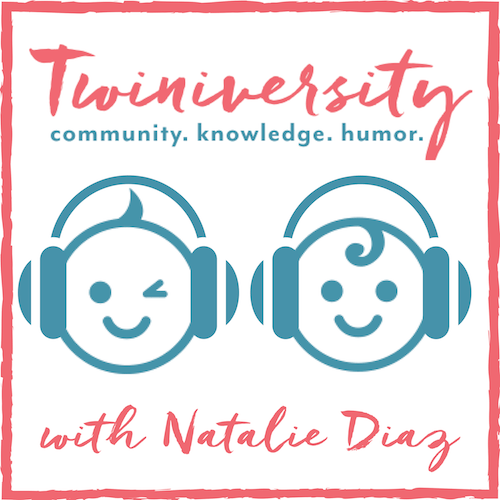 See you next time at Twiniversity!